Dairy Crest had recurring water ingress issues with water cooling towers that were resulting in reduced Mean Time Between Failure (MTBF) on the pump motors. Following a decision to commission a lubrication analysis and LabTecta sealing solution from AVT Reliability, they now have more than double machine life expectancy and reduced downtime, and no extra costs. A condition monitoring (CM) system, installed and managed by industrial consultants AV Technology Ltd (AVT), is playing a small, yet vital, role at the new Prestwick Air Traffic Control Centre, Prestwick in Ayrshire. Achieving accurate contents measurement on such silos as the ones at Castle Hill Quarry in Cannington, Somerset is a notoriously difficult task. A high-capacity Silo-Weigh system, installed by AV Technology Ltd (AVT) on two large limestone silos, is playing a vital operational role at this site. Leading industrial consultants AV Technology Ltd (AVT) have successfully completed the second of four phases of a critical structural monitoring project during the decommissioning of the Trawsfynydd nuclear power station in the heart of Snowdonia National Park. AVT Reliability are carrying out a challenging two year bridge monitoring project for Lancashire County Council on a 150 m section of the Centenary Way viaduct carrying the A682 dual carriageway through the centre of Burnley. The work is being carried out to assess the movement of the bridge bearings. There is much publicity lauding the benefits of predictive maintenance and condition monitoring programs. These certainly improve equipment reliability and plant productivity, whilst pouring scorn on the old adage ‘if it ain’t broke don’t fix it’. In an era of soaring energy costs, reducing energy consumption in industrial operations is vital, not just for the environment, but also for bottom line profitability. However in many industrial plants energy is simply ‘leaking away’, often unnoticed, sometimes ignored. The Chirk plant process's imported raw cocoa beans into butters and fine liquor extracts, supplied to other Cadbury plants to be turned into Cadbury Dairy Milk products. An outsourced asset maintenance program from the Asset Maintenance Solutions division of the Ionix Group is playing a crucial role in keeping equipment in tip-top condition. A permanent Mooring Line Integrity Monitoring System supplied by AVT is playing a crucial role in ensuring the ongoing safety of the floating offshore oil storage installation for BHP Billiton as part of their Liverpool Bay Development. 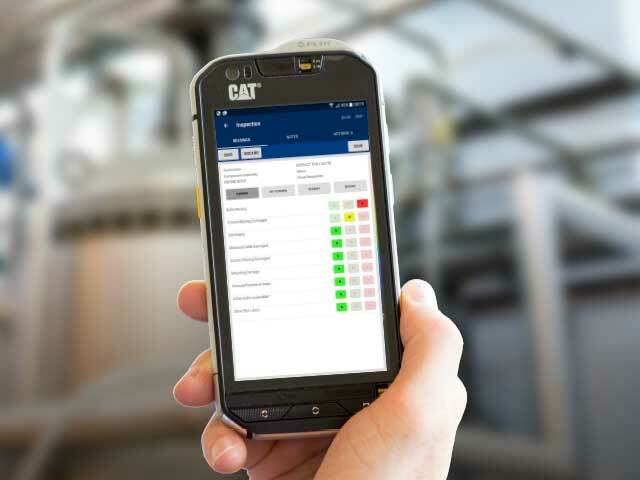 Remote visual inspection is playing an increasingly important role in preventative maintenance and troubleshooting across a broad spectrum of industries. Recent developments in camera technology are allowing the technique to be used in a growing number of areas.